Win a Free Stay with Our #TakeMeBacktoDreams Sweepstakes at Dreams Resorts & Spas! By now we hope you’ve heard about our latest promotion, the perfect addition to your summer plans: Kids Stay, Play and Eat Free at Dreams Resorts & Spas! 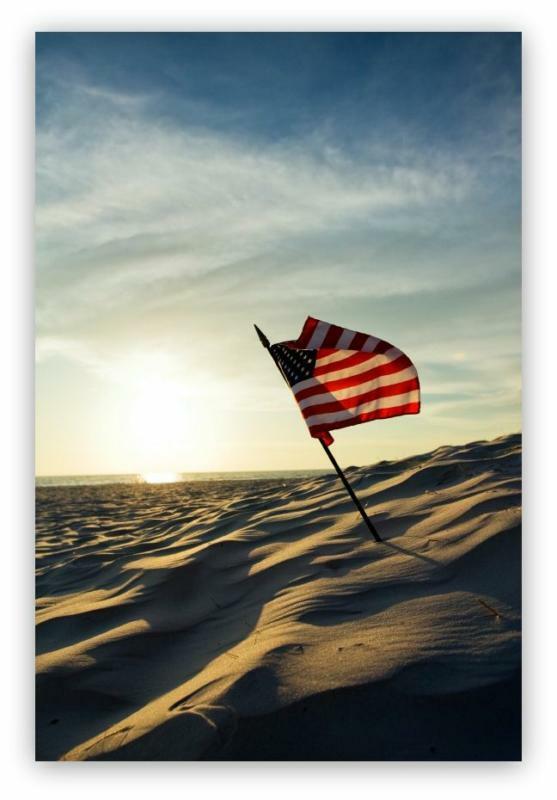 We know you’re going to love this year’s summer vacation, so why not let us take care of next year’s getaway? With our #TakeMeBacktoDreams sweepstakes, you can enter for a chance to win a return visit to Dreams Resorts in 2019 to make even more amazing vacation memories! Our Month of Mayan Events Has Begun! The year of the Maya is upon us and we’re celebrating! The Mayans predicted that on December 21, 2012 the world would be reborn and Dreams Cancun Resort & Spa, Dreams Riviera Cancun Resort & Spa, Dreams Puerto Aventuras Resort & Spa and Dreams Tulum Resort & Spa have planned special events and activities focused around the Mayan culture for you. Learn to make chocolate, take a Mayan language class, watch a traditional Mayan show, gaze at the stars and constellations as the Mayans did and more! And the fun isn’t just for adults. The Explorer’s Club for kids have activities planned that are sure to be a hit with your kids. They’ll have fun dressing up in costumes, making Mayan handicrafts and building sandcastles in the shape of Mayan temples. These special events end on December 21st, so don’t miss it! You can learn more here. 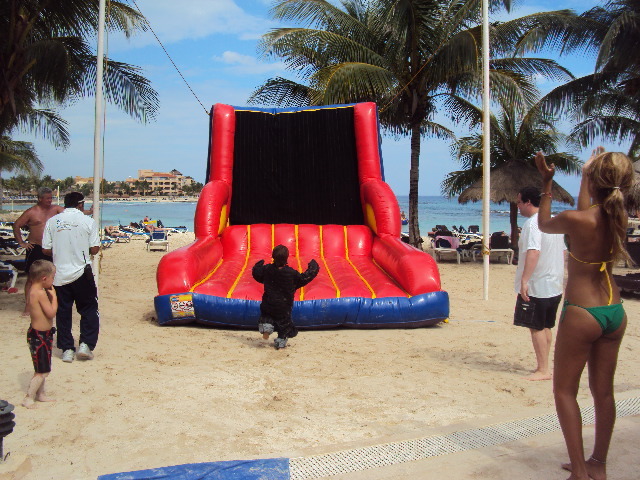 We recently launched a new weekly activity at Dreams Puerto Aventuras Resort & Spa! 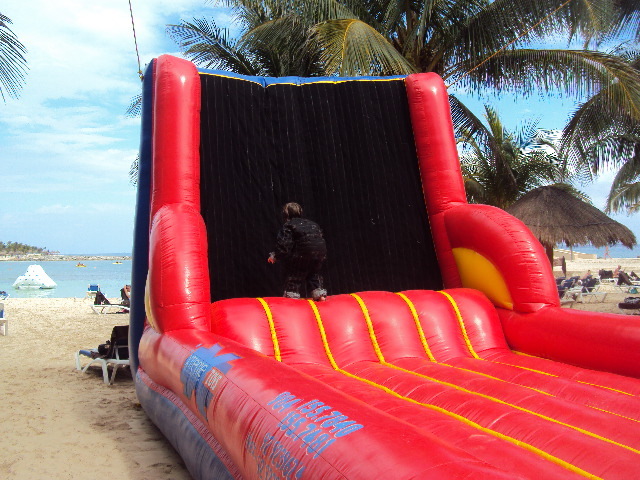 For those guests seeking thrills and adventure, you can now jump, flip and stick to our inflatable Velcro Wall! 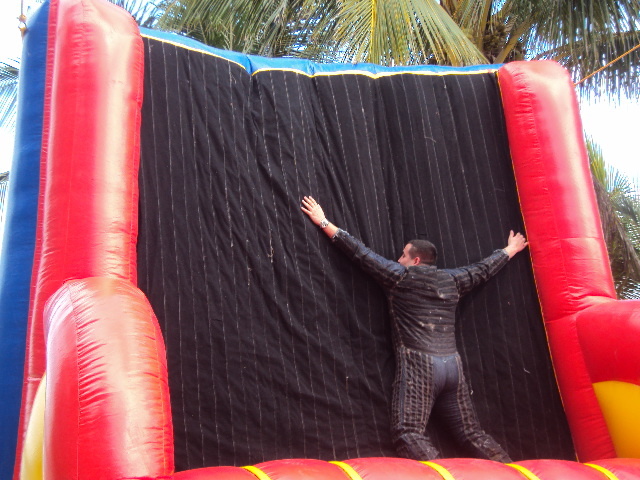 The inflatable Velcro Wall is an exciting activity where participants dress up in a Velcro suit and propel themselves off an inflatable trampoline and bounce toward the Velcro Wall. Combining technique and strength, participants try to how high they can stick on the Velcro Wall. They can land sideways, upside down or any which way they like. 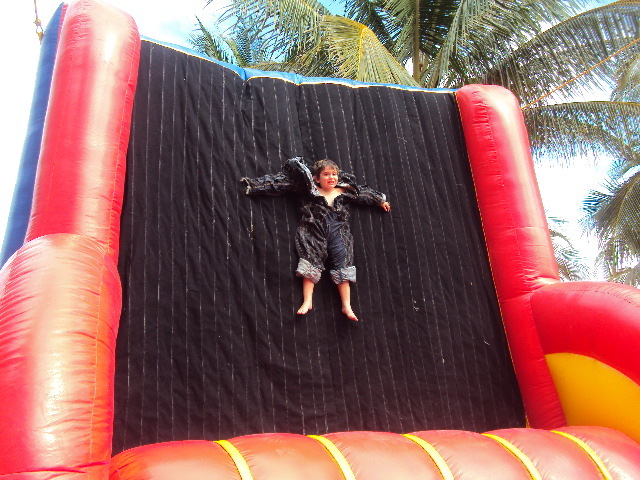 The Velcro Wall is a fun activity that the entire family can enjoy. Take a look below to see some of our first participants in action! We’re offering a new form of entertainment at Dreams Riviera Cancun Resort & Spa! 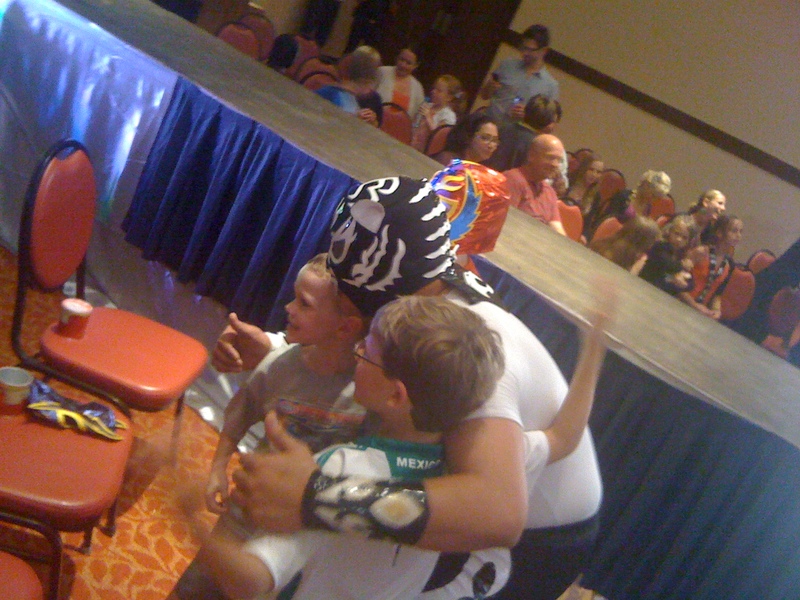 Every Thursday, our guests can enjoy a true Mexican Lucha Libre wresting match! 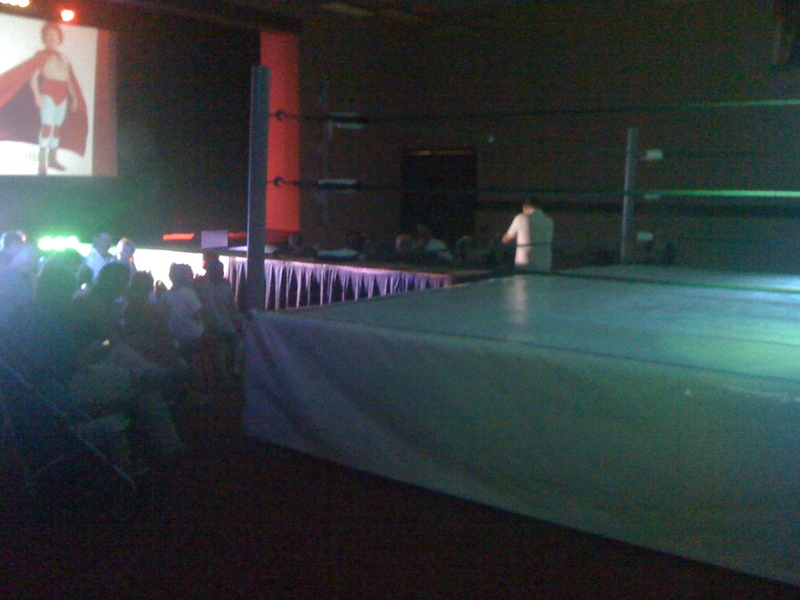 Lucha Libre is a very popular form of entertainment wrestling, similar to the World Wrestling Foundation in America. Mexican Lucha Libre matches involve famous Mexican wrestling characters from around the country. It is a high energy, fun-filled evening for the whole family to enjoy. 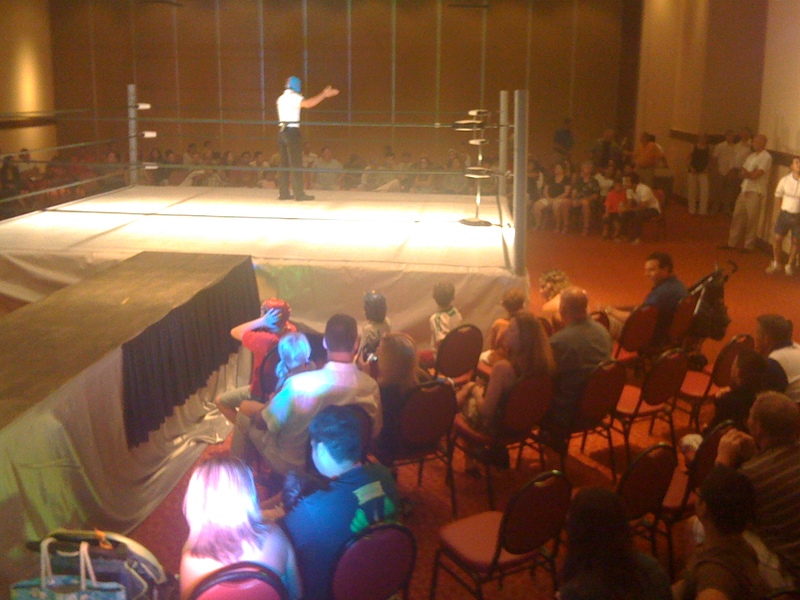 Take a look at some pictures from a recent Lucha Libre wrestling match at our resort!